Black & Decker A7183 Family Series Drill Bit Accessory Set - 30 Piece. 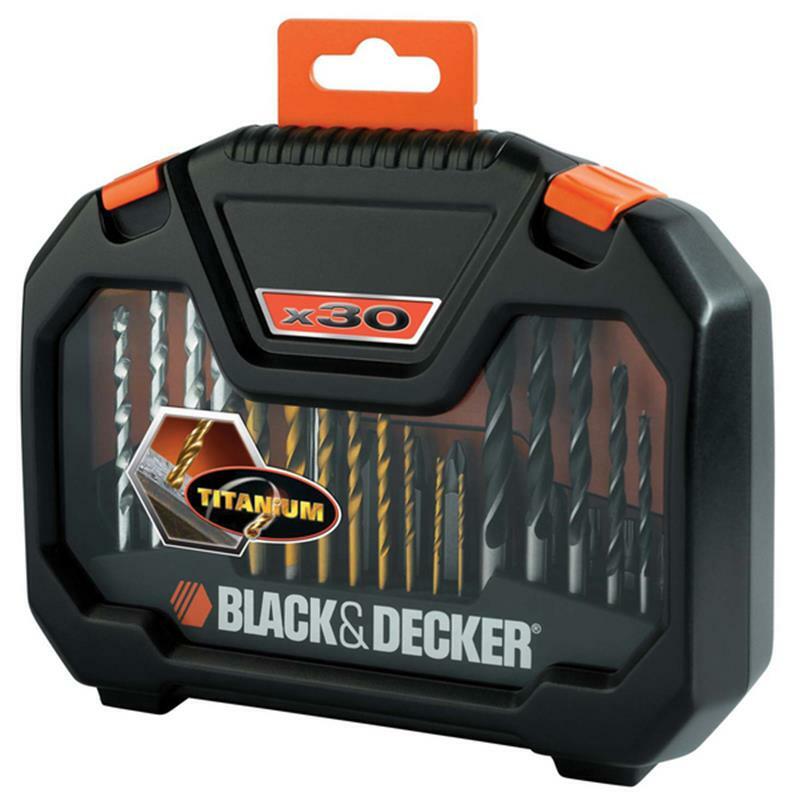 The Black & Decker A7183 family series accessory set consists of drill bits suitable for masonry, wood and metal, along with screwdriver bits of different lengths and a countersink bit. The bits are supplied in a secure and robust case while the flip out bar allows easier access to the bits. The bits are manufactured from Titanium, to provide excellent drilling and greater durability. 4 x Masonry drill bits: 5, 6, 7, 8mm. 8 x Metal drill bits, ranging from 1.5 - 6 mm. 5 x Brad point wood bits: 3, 4, 5, 6, 7 mm. 7 x 25mm screwdriver bits. 4 x 50mm screwdriver bits.